What is Better Than a PR? Running alongside my 10 year-old as she completed her first 5K. She did fantastic! I couldn’t be more proud. My son and I ran this race last year. It was my first 5K and I was terribly unprepared. I was really new to running. I had only been running 2 months and had no business running a 5K. But my son, who runs on the cross-country team at school, was very persuasive and convinced me that it would be fun for us to do our first 5K together. He beat me by a good 10 minutes. I was terribly slow and barely made it across the finish line. I vowed up completion of that Spud Run that I would train consistently and return for a re-do this year. I trained consistently, my running has improved tremendously over the past year, and I returned for my re-do of the Spud Run this year. My re-do wasn’t the speedy one I had envisioned. The actual re-do was so much better because I got to run with both my kids. A few months ago, my daughter expressed an interest in running. She wanted to try the Girls on the Run program, but their schedule didn’t match ours, so I suggested we try the Spud Run instead. The Spud Run is a nice, local, family-friendly race that raises money for MDA. A lot of her friends run it, so I thought it might be a good one for her to try. I downloaded a training schedule from the Girls on the Run website and we started practicing. We didn’t follow the schedule always, we had to be flexible because both kids are in other sports, but she did enough that she was able to complete the entire distance using a 3 min run/1 min walk strategy with a sprint to the finish line. We finished in 36:47, which is faster than my time from last year. 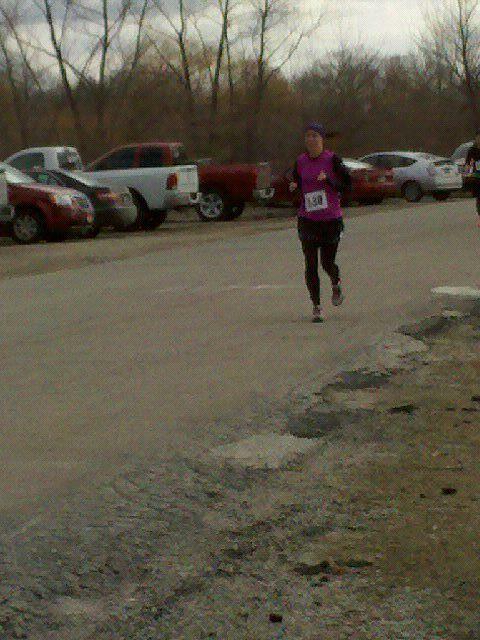 And she came in 4th for her age group. Not bad for her first 5K. She rewarded herself with brownies and a bag of apple slices at the finish line. She had a blast. I think I’ve created a new runner in the family. As soon as we got home, she asked when we could sign up for the next race. And my son won a medal for placing second in his age group. And he shaved 2 minutes off of last year’s time. I think I see a Turkey Trot in our future! Do your kids like to run? Have you run any races with your kids?